Breeze makes the task of creating your giving statements easy so we put together an article walking you through some common scenarios you might face. While you can read the whole article if you'd like, here's a quick navigation to jump to the most applicable part of the page for your own context. Note that Breeze does not require "closing a year" as some accounting systems do--Breeze seamlessly continues into the next year and provides yearly reports. For more information take a look at our documentation on Creating Contribution Statements. For more information take a look at our article on Customizing Statements. Want to build off a template we've already built? You can use one of our templates by navigating to the statements editor and clicking "Templates" in the toolbar. More information on contribution statement templates can be found in our help center. Let's say you want an itemized list of contributions but you only want the date, check number, and amount appearing for each gift without any other columns (such as fund, donor, etc). You can include exactly the columns you want by tweaking the itemized list code. Check out the "itemized list" row in this table. Breeze allows users to designate certain funds as not tax-deductible.  Contributions given to these funds will not show up on statements by default, but some churches may want to have these non-tax deductible payments show up in a separate area on the statement so donors can see all of their payments and understand the breakdown of what was tax deductible and what was not. To include non tax-deductible information, just use the corresponding items under the "Mail Merge" toolbar option. Put the cursor in the left cell and navigate to "Table > Cell > Cell Properties". Give it a width (you could start with 150) and click "Ok". This will adjust how wide a space you have to the left of your address. Tweak this number until it matches your envelope windows. Navigating to "More > Contributions > Statements"
Click the dropdown arrow to the right of "Print Statements" and select "Print Mailing Labels"
We recommend adjusting the statement margins by using the built-in browser controls. While different browsers have different interfaces for how to adjust the margins, my personal favorite is Chrome. The video above shows how to quickly adjust the margins in Chrome and instantly see how it will affect the formatting of your statement. When printing from a browser, often times you'll encounter text on the very top and bottom of the page that the browser puts there - usually a web address and sometimes a date or a page number. Needless to say this is a bit unprofessional. The good news is that it's easy to remove. This is a browser setting so you'll just need to tweak the setting in your browser before printing. We recommend using Chrome and the video above shows how to quickly remove the header and footer content when printing in Chrome. Here's an example video showing how to generate statements for families that gave over $600 for the year. In the video, the "Search by Sum" checkbox tells the search to look at the sum of all giving for the whole year, rather than the amount of each individual gift. The "Group by Family" checkbox tells the search to look at the combined sum for all family members, rather than each family member individually.. If you'd like to print on both sides of the paper, you'll want to be sure that the front of one person's statement never ends up on the back of another person's statement. This can be tricky if the number of pages for each statement vary (e.g. some have 2 pages, some 3). Using the two-sided feature will ensure that the front of one statement never ends up on the back of another. Note: the only browsers that properly support this are Internet Explorer and Edge (limitation of the Browser, not Breeze). If you want to include pledge information (either along with giving information or in place of giving information), simply modify your statement to include it. Here's how. If you're looking for more customization options, see customize statements. If you'd like to learn more, check out our documentation on archiving people and moving contributions from one person to another. When printing statements, there may be some contexts where you'll want to remove children's giving from families' giving statements. Note that while we are not professional accountants and you should contact your church's accountant (i.e. this is not professional advice), our understanding is that money given by children that was originally generated by an adult is tax deductible for the adult. In other words, the only child giving that would not be tax deductible for the parents would be for children who have their own jobs and are giving from the income they receive at their job. Here's a video showing how to exclude children from a giving statement. Navigate to "More > Contributions > Statements"
On the "Print For" dropdown select the option "Donors without Email Addresses"
We hope these videos are extremely useful as you put together your year end statements. If you'd like a little assistance in what to include, feel free to check out our blog article on how to create a great year end statement. You can also view our full article on statements within Breeze. Is there anyway to delete the name column on the statements? We feel it is unnecessary to have that. Is there a way to merge people? For instance, a guy writes checks from company account, and sometimes from personal, but its really just him. Or sometimes a name is entered twice - perhaps misspelled on one. In statements -> email -> customize statement, why can't I type anything below [church_name] ? I want to add church address and contact info. I can only type above [church_name] but not after or below. Happy to help! Reaching out via a support email to troubleshoot this issue with you! I'm interested in changing the font on the statements. I'm not able to find where this is possible. Is it? I found it! It just needed me looking a bit deeper. Thanks. I love the ease of this program!! That is great news! Thank you for the kind words! Glad you are a part of the Breeze family of churches! I am so sorry to hear that you are experiencing this issue! Would you mind to try and replicate this issue in another browser to see if you are getting the same results? If so, would you please contact support with this so we can troubleshoot this issue further! Emily, it looks like it will work for me in Chrome. Thanks! Hi, I'm having some trouble sending e-mail statements... I want to email statements just to those who are members and attenders (and a couple of other statuses). If I go to Contributions > Statements > Email and click specific people, it tells me to go to reports and select email from the drop down menu. But when I got to Contributions > Reports, run a report for the year (1/1/18-12/31/18) and the people (Status= Members, Attenders, etc. ), it only gives me the option to choose Download Excel or Print Statements (which gives the further option of printing mailing labels). Wait, Sue! How did you change the font on the statements? On the "Modify Statements" screen, there are options at the top... Bold, Indent, Italicize, etc... And there are three little dots at the end of this line. If you click that, more options will appear for you. Font sizes will be there. Also, to your other question about emailing statements. There should be dropdown option under "download as excel" that says "email statement" If it's not there, you may have something that needs to be adjusted in an overall setting. If you still need more help, I'd contact support. They have been SO instrumental in my learning process. Is there a way to put the rows and columns in a grid format almost like Excel? I feel like this would make it look a little cleaner especially if a contributor gives a lot throughout the year. However when I click on it, the page it is linked to does not provide the needed list of items to create a customized list. you might want to update item #4 with this link. Hey @austinscott307 - great question! At this time the rows and columns do not have an ability to put a grid around each contribution. We do try to lay them out as clearly as possible, but we completely understand how if someone has a lot of donations that can be difficult. Apologies for that. @archielee - thank you so much for that great catch! I have updated this document to reflect the correct link. I really appreciate you bringing that to my attention. 1. The right margins in the "itemized" and "funds summary" mail merge items don't quite line up. Is there some way to adjust these? 2. Is there any possibility the column headings in the itemized list could be made bold or underlined to set them off a bit from the line items? 3. I would echo the desire to be able to adjust the spacing or do a grid (alternating line shading, perhaps) for the itemized donations. It is kinda monolithic text blocky for longer statements. It would also be nice to have an itemized option that groups and subtotals the items by fund. I echo the request to be able to make the column headings in the itemized list bold or underlined to set them apart, and also the desire to adjust column margins and do a grid or alternate line shading, which would really really help the readability, especially of the longer statements. Another question I have that I don't see in any of the comments above is this: is there a way to include an itemized list of individual donations that are greater than a certain number (i.e. $250.00, as per IRS regs) on the giving statement so that I don't have to go back and produce a separate statement for that? Emailing people two separate documents seems to really confuse them, even though I am very specific about labeling and explaining them in my emails. Hi @info and @office! Thanks so much for sharing these requests with us! You bring up some great points in what you're trying to accomplish in Breeze and we sincerely appreciate this feedback! It is very helpful to us and drives us to be better! @office step number 11 will walk you through how you can include those who have given over an amount like $250. @info I will reach out via a Support email that will be able to explain with further instructions and steps on how to accomplish these within Breeze. Happy Breezing! Is it possible to add page numbers and/or a note at the bottom, such as "continued", so people know to look at the back of the page? Hey @peaceluthelca - we don't have a "print page number" option, unfortunately. I would recommend either printing one sided, or possibly writing something in your letter about how it may continue onto the back side. Hi @info - the best method would be to either put everyone that you don't want a statement for into a tag and then excluding that tag as you said. Unless you have all the people that you do want a statement for already distinguished with some sort of profile field or tag, adding your organizations into a tag will probably be the easiest method. I created a letterhead (graphic and text) in PowerPoint, saved it as a jpg, and then inserted it as an image at the top of the template. It looked great! Hi peaceluthelca... I was having the same problem -- awkward page breaks for our frequent givers -- and I couldn't find a solution either. Finally I just tagged those people and ran reports for them Jan-Jun and July-Aug so they had full records with the important text on each page. It's not much of a solution, but it got our giving statements out the door. thanks for the tip on using reports as a way to print statements and include archived people. It works great! We have one issue we can't resolve, though. Some people with emails want snail mail statements but emailed newsletters. We have a Snail Mail Communications tag and an Email Communications tag. BUT, archived people don't show up in tags. So, if we filter for both archived and not archived and snail mail communications, we don't get any archived people. How can we have archived people with emails get snail mail? Erase their email when we archive them? I wish archived people showed up in tags if you were filtering for both archived and not. Any chance of that?